Sooo today we are putting ALL the summer fruits together on one pretty plate!!! So I’m kind of “juiced up”(pun intended) to share this fruit plate with you. 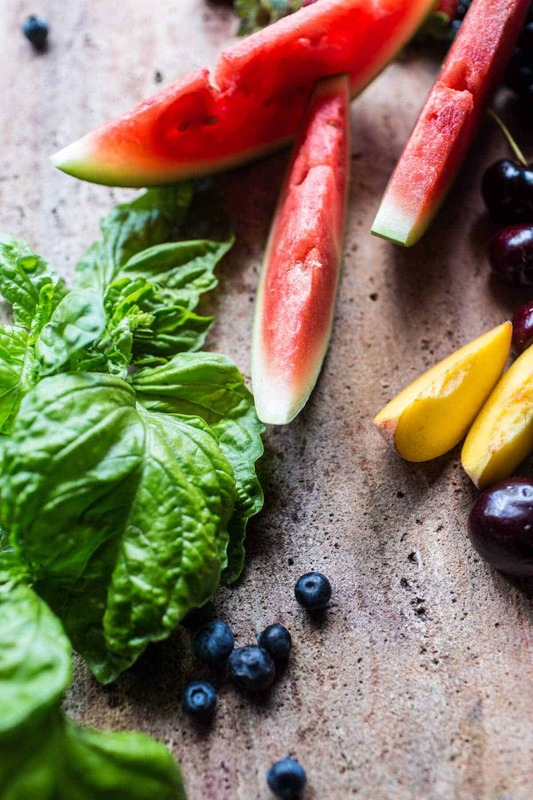 I mean, this isn’t really a recipe, so much as it is me telling you how I like to put together my favorite summer fruits! Crazy simple, and crazy basic, but so much fun! First things first though, let’s just talk a little about summer in general. Like how is your summer going? I cannot even believe we are more than half way through JULY!! Why is it that summer always flies by way too fast?! I am determined to take a little break sometime soon and just sit in the sun and CHILL. Anyone else with me or what? For real though, what have you guys been doing, and man even more importantly, what have you guys been eating?? In the food department, I have been living summer up. I’m talking all the veggies, all the fruits and everything grilled. I am LOVING it. I actually have zero thoughts of fall (my favorite season) rolling through my head. In fact, I am currently wishing summer could last a whole year. I’m just kind of loving these long days, full of sunshine and warmer temps. Totally my thing…check back in a month or so and I might be getting excited for fall, but right now, I am all about SUMMER. Plus, I’ve got little miss Asher hanging out with me a lot more since she’s on summer vacation. We’ve been doing crafts, making doughnuts, a little cleaning, and then, umm, more doughnuts? What…the girl likes her chocolate. A LOT. Can you blame her, nope! 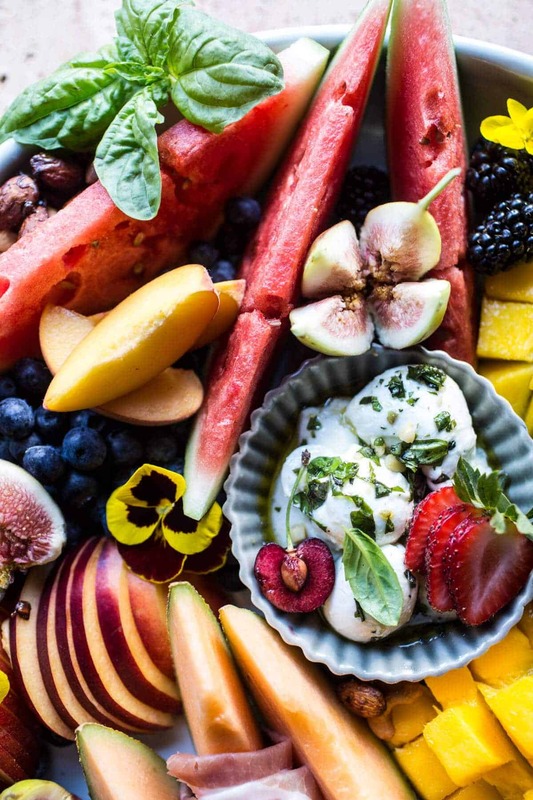 OKok, let’s chat about this summer fruit plate! Isn’t it the prettiest?!? When I shot it last week I was basically jumping up and down with excitement. Yes, summer berries and stone fruits totally EXCITE me. So, here’s the deal. 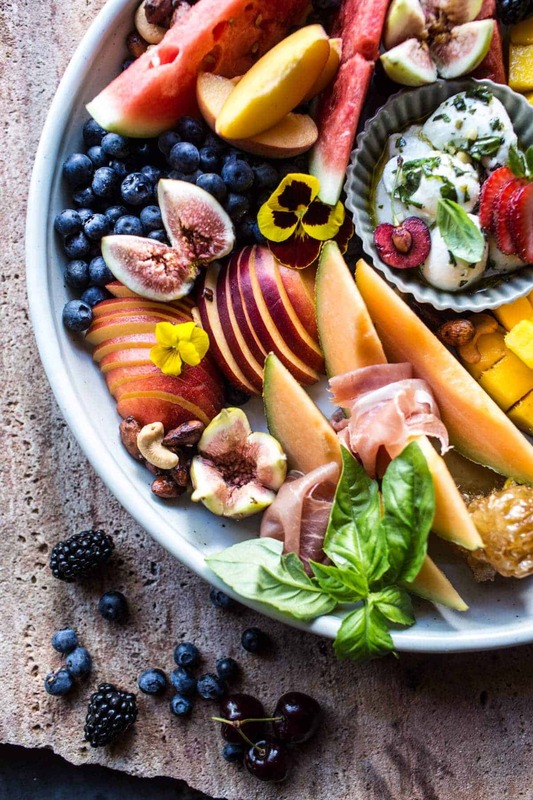 This really is not a recipe, it’s more of a guide…me telling you exactly what I love to put on my summer fruit plates. You ready? Here it goes! Ahh, yeah, I like a lot of fruit, oh man, it is SO good! Ok, now for the kind of fun parts. For me personally, no fruit plate is complete without at least a little cheese. Yes, seriously, cheese is needed! I like to take buffalo mozzarella balls and roll them in basil pesto, it’s DELISH for snacking bite by bite or for eating along with your fruit. I find that mozzarella and basil go with basically every fruit. To finish, I like to add some kind of nut. For this plate I went with honey roasted almonds because I love honey and fruit together. OH, that reminds me! I also love adding honeycomb. One, it adds such a pretty touch, and two, it’s awesome with stone fruits and figs. YUM! SOOOO, if you guys have any fun fruit plate combos, I would love to hear about them! LET ME KNOW! 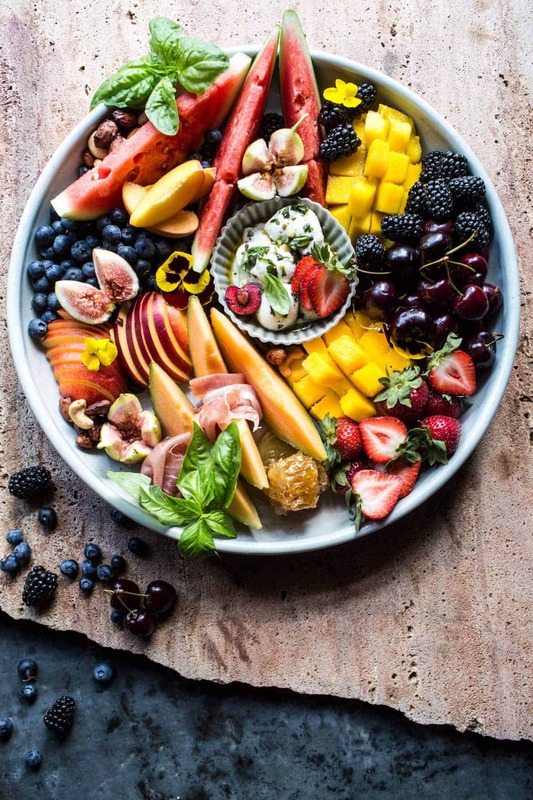 ALL the summer fruits together on one pretty plate!!! Arrange everything on a large serving plate. Serve with the pesto rolled mozzarella. Keep the plate cool until ready to serve. Finely chop the basil and add it to a medium size bowl. Chop the pine nuts, add them to the bowl with the basil and arugula. Add the parmesan and a pinch of salt + pepper. Pour in the olive oil. Using a fork mix well and then sort of mash all the ingredients together with the fork. If desired add more olive oil until your desired consistency is reached. Add the mozzarella to a bowl and toss with a few tablespoons of the pesto. 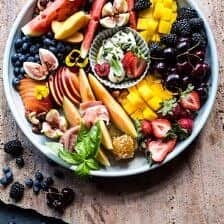 Serve along side the fruit plate. You will have extra pesto. 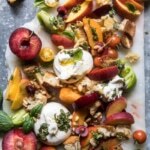 Tuscan Summer Stone Fruit, Tomato, and Burrata Panzanella Salad. 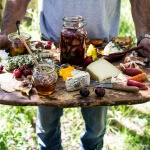 How to make a Killer Summer Cheeseboard (with Pickled Strawberries + Herb Roasted Cherry Tomatoes!). Love. Love. LOVE! This plate needs to be made ASAP! I am loving all the berries at the moment and those peaches look so good to me right now! Thanks Amanda!! Hope you get to make it soon!! We have bought a lot of cherries this summer. I would be afraid to add up the dollars. YIKES!! They have been the largest size I have ever seen. Most of them have been sweet too. We got 80 pounds of peaches from SC. We actually brought back 18 boxes but we only kept 2 for us. YUM!! This is very a pretty colorful dish. WOW!! Thats amazing! So many cherries and peaches! 18 boxes!? Sounds like heaven!! Thanks Charlotte! 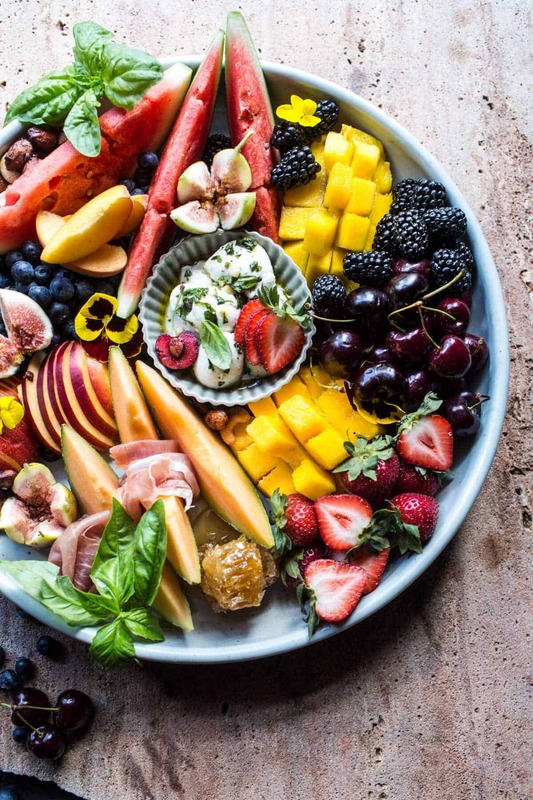 Hope you get to make this plate with all the fresh fruit! Absolutely YES! Count me in all the way for this stunning array of freshness! Of course!! (: Always! Thanks Tori! Just gorgeous Tieghan! The colors are wonderful. Your photos are leaving me wishing I could just grab some fruit right off my screen. 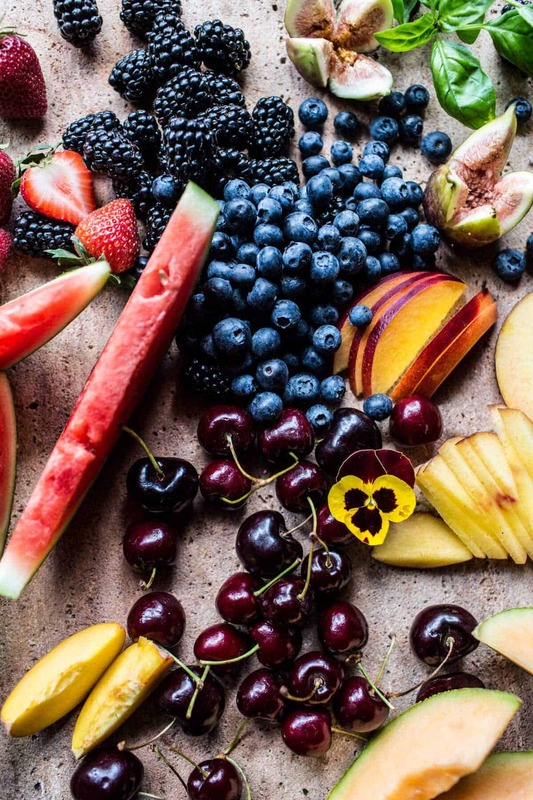 Don’t you wish we could get all that fruit all year long and not have to wait for summer?! Thank you Mary Ann! You literally read my mind! All winter I complain about not having the fruit I want!! Looks amazing as always, you always style your food so beautifully I envy your talent. Thank you so much Lorraine(: Seriously so nice ? This plate is beautiful! 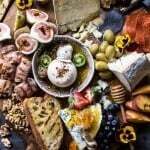 Your food styling is always ridiculously stunning. Love seeing your comments Jessica (: Thank you so much!! Exactly what I crave for a snack during summer! I’m with you girl- I just can’t get enough of summer! 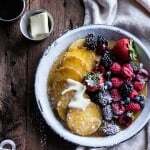 I can always eat my weight in fruit of you put a plate in front of me. ? This summer I have been working as a summer camp counselor at the YMCA. The kids are so cute and fun (when they behave of course ?). It has been so hot here like 95 degrees in NC and I’m always sweating at camp. A big plate of fruit though can always make my day. Helps to stay hydrated too because it can be hard in the heat. Ah so true put fruit in front of me and it will be gone!! That sounds like so much fun! Although 95 sounds pretty hot!! I’m doing well with fruit bowls this summer (none look as nice as yours) now if I only get my veggies in. I’m sure they look amazing!! WOW! Thank you so much Tayla!! Thanks Kari (: Good to hear from you! Fruit has to be the best part of summer! Besides the warm weather, of course. I definitely agree that cheese is necessary. My favorite combo is nectarines and peaches with a lot of burrata, fresh basil, balsamic, olive oil, honey, and S&P. Those comobos are the best!! That looks awesome, so perfect all summer long! 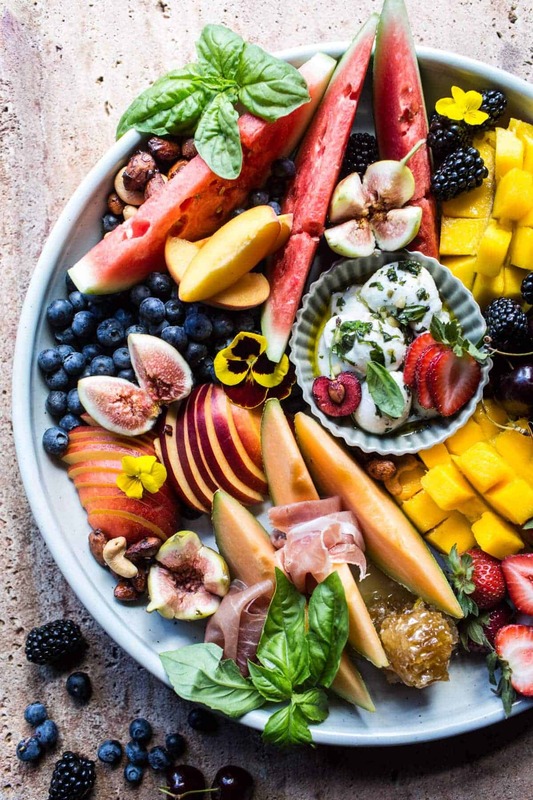 Who needs dinner when you have this gorgeous fruit plate?! This is what I want to live on all summer long :). You and I both! I cannot get enough of this summer fruit!! I have a question about Staub cookware. Everything is sticking–eggs, etc. And I am using plenty of oil before putting food in pan. Last night I sautéed zucchini and added some cornmeal. When I do this in the non-stick pans, I get a crispy finish but all the cornmeal stuck to the bottom of the Staub and the zucchini was naked and kind of mushy. Any suggestions? The pans are about six months old and I have been as careful with them as could be. It sounds like you need to season your skillets. Here is a great how to, don’t worry it is really easy! Let me know if you have questions, thanks so much! Result: a masterpiece! 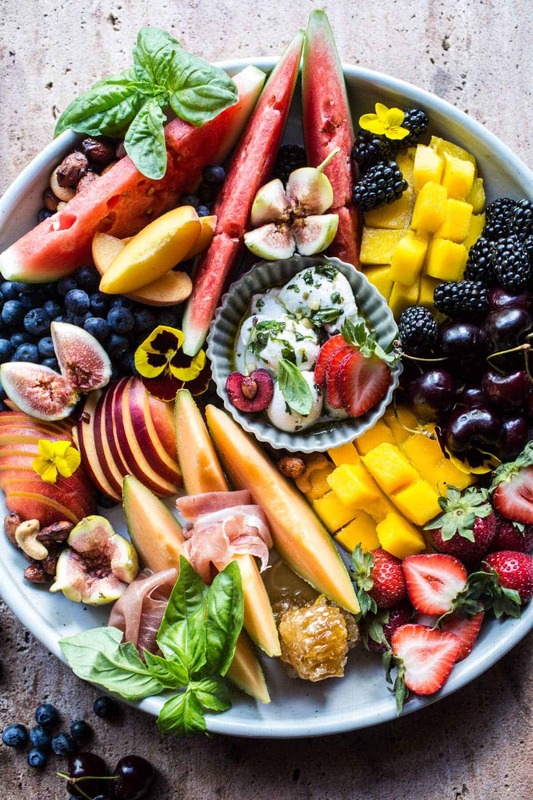 I never know how you could make the fruit look so vibrant and colorful! Just fresh fruit and natural lighting is all, but thank you so much Cassie!! This is what i call a fruit platter! 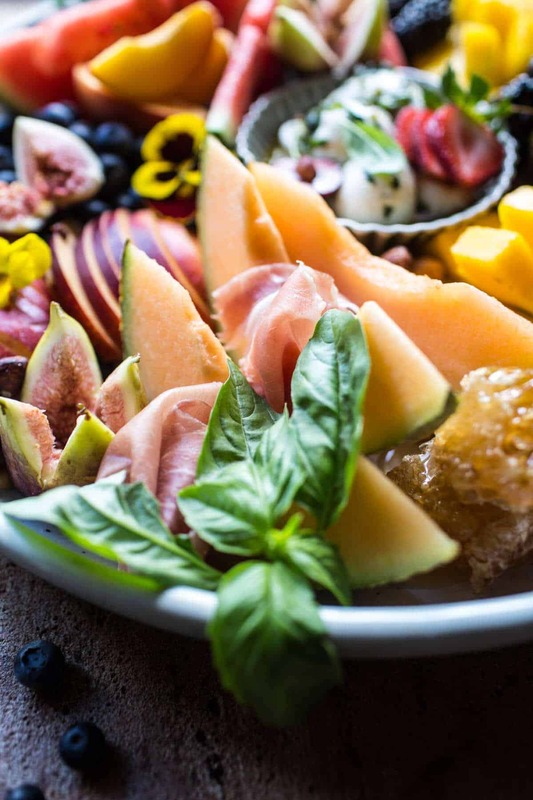 I always have the melon and prosciutto combo, those two simply belong together. And of course basil for days! Perfection! Agreed, they do! Thanks so much Florentina! DIET BUSTER: Dried fruit packs up to 8 times more calories and sugar than fresh fruit. See what other “health” foods could be wrecking your diet. summer fruits booking diverse yes!